In my research for the project I came across this brochure. 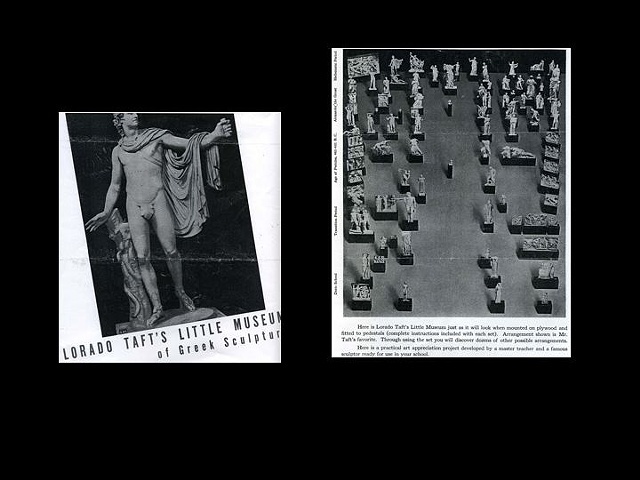 It describes a kit, modeled on the idea of the Dream Museum, that contained small reproductions of Greek and Roman sculpture and miniature pedestals. The kit was for teachers to use in the classroom.